Commuting is often discussed socially as part of the daily drudgery of work, but barely registers in academic studies of labour in the global economy. This is surely remiss. Commuting is clearly economic: the cost of getting private and public transport comes directly out of workers’ pockets. The unpaid time of travel could then be seen as a subsidy to the employer too, since it brings workers to their door for free. 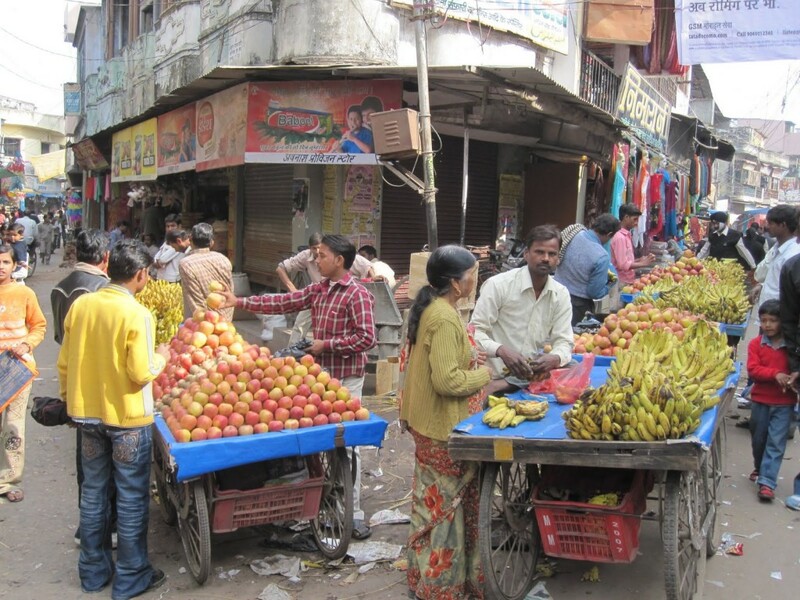 The extra length to the working day can also restrict the kind of jobs that people can undertake, or, conversely, encourage rural-urban migration as well as irregular sleeping arrangements so as to get closer to the workplace – a phenomenon underpinning the growth of global mega-cities that Mike Davis discusses in Planet of the Slums. Commuting is also an embodied practice, affecting the body through increased tiredness and physical discomfort, the sense of security if travelling through dangerous places, reputations if waiting is misconstrued as loitering, and family status if going out to work provides public visibility that being a home worker does not. Health is also an issue. The fumes that clog the atmosphere in urban India, the rubbish that goes uncollected and the lack of toilet facilities (which mean dirty streets) all affect health. The exposure to pollution is also classed: most middle class women in urban India take taxis or drive their own cars, while lower middle class and poor women tend to spend more time outside either travelling by foot or waiting on public transport. In short, commuting affects the incomes that people receive, and the experiences and inequalities that they face – an argument perhaps best advanced through ethnography, in this case, a research project of mine using the techniques of time-use surveys and narrative interviews. Meera* is around 28 years of age; she is married. She studied in school till age seven. 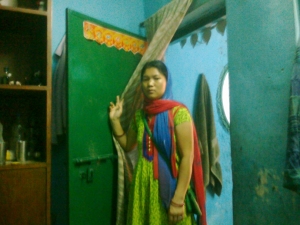 She has worked as domestic help in a residential colony in South Delhi for many years. She moved to Delhi from Nepal at age ten. She has also worked in Dubai for 3 years as a helper before she was brought back to India to be married off. Her family consists of her father-in-law, mother-in-law, husband and her daughter and son, aged eight and five respectively. Her typical day entails waking up at 6am, making tea and breakfast for the whole family, and getting her daughter ready for school. The daughter leaves at 7:15am and she leaves for work soon after. She works at one house and another one as a temporary replacement. She is usually back by 12 noon. This is the daily walking route to work for Meera. Depending upon the route she takes, it can take her between 22 and 27 minutes to reach work. Given the household responsibilities, she chooses the shortest route. 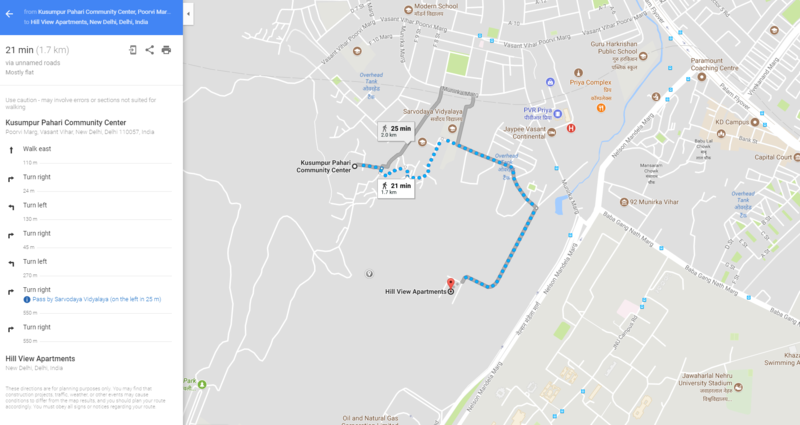 Google map cautions that the route ‘may involve errors or sections not suited for walking’ – the reason for this is that the shortest route involves both sectioned off areas and areas that are a health hazard. This route takes her to the apartments where she and many other domestic workers work. Most of them use the same route that Meera uses. Saving five minutes each way can be useful, so Meera often climbs over the fence that sections off the middle class apartment block from the surrounding working class areas on the fringe of the city. This spatial demarcation of class underscores the neoliberal city’s approach to security – fences, gates and chowkidars (watchmen) mark the privatised boundaries for the rich. There is no proper sanitation at her home, only a makeshift place where they can take a bath and pee. To defecate they all go to the nearby hilly forest, an area also frequented by pigs. There are sections divided for men and women there. That is the same area she crosses when she comes to work. This is the short cut she takes every day. It takes her 15-20mins to walk. On the day that the researcher Pujya accompanies her to work, Meera doesn’t carry an umbrella. On asking why not, she says that her brother-in-law keeps losing them so she’s stopped buying new ones. Walking together under the same umbrella with Pujya was getting difficult, so she was pretty much drenched by the time they reached her workplace. She reaches the house where she works at 8:20am. From 8:30am to around 10:30, she cleans the house and waters the plants. Then she washes the clothes in the machine and puts them out to dry. At 10:30am she goes to the next house where she works. She spends a little more than two hours at that house. She washes utensils first. Then she cleans the house (sweeping, mopping, dusting, etc.). She puts the washed utensils into their respective places and she’s done. Around 12:45pm she starts back home – taking the same route as before, climbing the fence and walking past the waste dump. Because she is working only two houses, and because she works close to home, she has assumed primary responsibility for the housework too – cooking, cleaning, and encouraging her children to study. She looks tired and anxious; she hardly smiles. Meera worked a long way away from New Delhi once; she worked in Dubai. Although there is now great concern about the wellbeing of Indian domestic workers in the Gulf countries – the International Labour Organization, for example, notes “the occurrence of forced labour and human trafficking [that] is often linked to ineffective labour migration governance” – Meera does not seem to have been abused. She really enjoyed herself in Dubai. She shows Pujya photographs of herself there with friends, because she says that was one of the happiest days of her life. She occasionally gets in touch with them because none of them live in Delhi; they are mostly still in Dubai. These women were the only friends she really ever had. The memories of her work-based journey to Dubai remain important to Meera. Feminist political economy can help us to understand commuting through the concept of depletion through social reproduction within wider structures of social reproduction. I, together with my colleagues, have outlined elsewhere that social reproduction encompasses: (1) biological reproduction, including reproducing labour, which carries with it the provision of the sexual, emotional and affective services that are required to maintain family and intimate relationships; (2) unpaid production in the home of both goods and services, which includes different forms of care, as well as social provisioning and voluntary work directed at meeting needs in and of the community; and (3) reproduction of culture and ideology, which stabilises, and sometimes challenges, dominant social relations. Depletion occurs when the gap between the outflows (i.e. reproductive, domestic and affective labour) and the inflows (e.g. medical care and leisure, income earned and time) goes below a threshold of biological, financial and psychological sustainability. Meera’s story shows how depletion can take effect: the walk to work through inhospitable landscapes, arriving at work already distressed (soaked from the rain) and going back home exhausted to work some more. Work that subsidises capital. Work that depletes those who stretch their day to accommodate both its paid and unpaid variants. Work that is not even counted by either the family or the state – you certainly won’t see non-monetary commutes or housework registered in GDP figures for instance. Capitalist social relations are therefore inscribed in the sweat and exhaustion, in the anxiety and occasional terror of commuting, which can be seen as another element in the equation of social reproduction. Yet it is different to most other tasks insofar as it is considered neither ‘labour’ nor ‘not-labour’. Travelling to work is the in-between space and time of exploitation, a liminal labour. * Meera is not her real name. Consent has been obtained for the use of photos and narrative. Aldred, R. (2014) ‘The Commute’. In Adey, P., Bissell, D., Hannam, K., Merrimam, P. and Sheller, M. eds. The Routledge Handbook of Mobilities. London and New York: Routledge, pp. 450-459. Amoore, L. (2006) ‘Invisible Subject(s): Work and Workers in the Global Political Economy’. In Davies, M. and Ryner, M. (eds.) Poverty and the Production of World Politics, Basingstoke: Palgrave, pp. 14-37. Himmelweit, S. (1995) The Discovery of “Unpaid Work”: The Social Consequences of the Expansion of “Work”, Feminist Economics, 1(2), pp. 1–19. Hoskyns, C. and Rai, S. M. (2007) ‘Recasting the Global Political Economy: Counting Women’s Unpaid Work’, New Political Economy, 12(3), pp. 297–317. Rai, S., Hoskyns, C. and Thomas D. (2014) ‘Depletion: The Cost of Social Reproduction’, International Feminist Journal of Politics, 16(1), pp. 86-105.